PresentPerfectTM is a practical hands-on presentation skills course available at any one of more than 40 training centres in the United Kingdom. 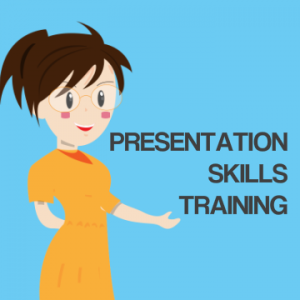 This training outline explains how you will acquire the skills to present confidently and achieve better outcomes for your own presentations. So, no matter the type of presentation, you can expect to give a top presentation. You are especially keen to give better presentations. And, equally, we want you to do just that. So, that's how we organise our training courses. Our ambition is for you to grow your presentation confidence markedly. So you are ready for any presentation opportunity, whenever that happens. You can readily succeed with your presentations. Because, surely that's something that we all want. Our training courses are highly interactive. And, of course we encourage that with small class sizes. So, that means a typical class size of 6 trainees. But, on occasion you might have fewer participants. Importantly, each one of our courses is one day long. ​Thus, we aim to start at 0900 and finish by 1700 to 1730. Exceptionally we can run a two day course for students. However, this is really only necessary where there are special language needs. However, it's something we can always do. During the course of the training day you will discover a whole series of learning points. And, importantly, you have the chance and the time to practise these. Because we certainly believe that you have to experiment with these points. To this end, much of what you do on the course involves you undertaking mini-presentations. In summary, these are short, timed pieces that need little preparation. Understand all about presentation dynamics. Learn how to research an audience. Presentation questions you need to ask before you present. Recognise the value of presentation visual aids. Find out about the point, turn and talk technique. Get prepared for presentation questions and answers. Thanks again for last week - I really enjoyed the day and feel I've got a great deal from it. We designed our PresentPerfectTM presentation skills training course for professionals, managers, sales executives, team leaders and job interview candidates. It's always true to say that most of our training course participants have some presenting experience. Because that's true with most busy offices today. But it's fair to say that some are new to the whole experience of presenting. And, we also find that, by and large, most of our trainees are quite familiar with PowerPoint or Keynote. However, very few of them really know how to use these impressive tools. 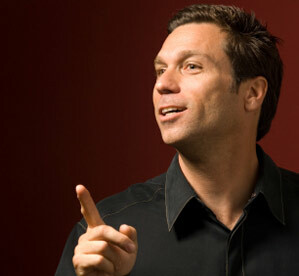 Use your voice effectively when you give a presentation. Use rhetorical techniques as you present. This is only a brief presentation training outline. So, when you want to really grow your own presentation skills, please don't hesitate to get in touch. Then we can have the opportunity to discuss your needs, or indeed those of your team, in some detail. "The harder you work the luckier you get."